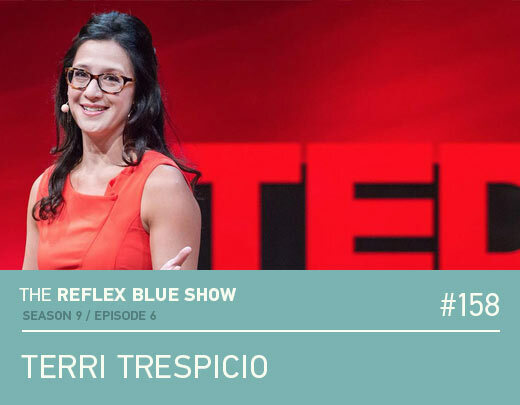 Terri Trespicio has appeared many times on Martha Stewart’s Show, gave an amazing TEDxKC talk on why you should stop searching for your passion, and was speaking at HOW Design Live in Atlanta – obviously it was only a matter of time before she became a guest on The Reflex Blue Show. We speak about building your personal brand, how to communicate your brand, and more. Enjoy. Photo above is Terri on the TEDxKC stage.